These banner frames are an amazing marketing tool for use at events, exhibitions and conferences, as well as simply outside of your premises to promote your business. Ideal for outdoor or even indoor use, these frames are made to last and built to impress. 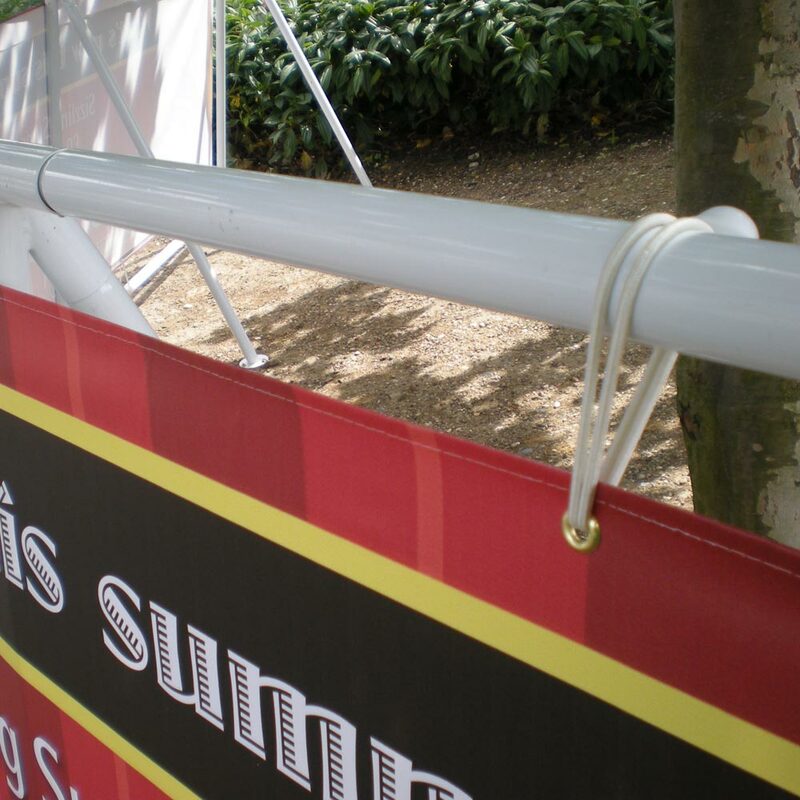 Available both single and double-sided, these heavy duty, portable, white powder coated steel banner frame systems are great for frequent outdoor use. Constructed from 35mm diameter steel tubes. 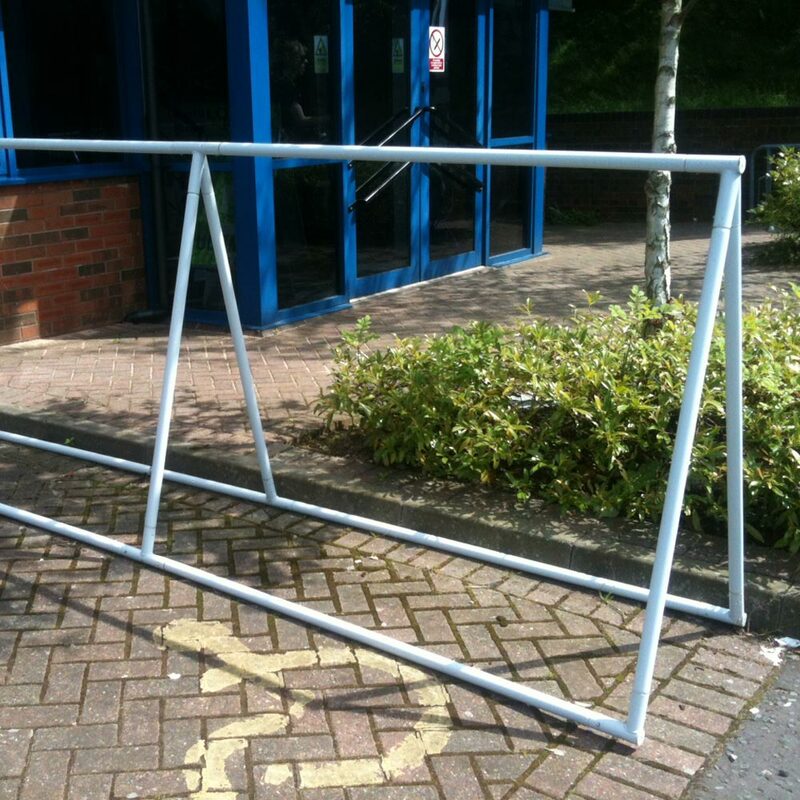 We also have banner frame extension kits available to extend your banner frame in increments of 1.5 metres. 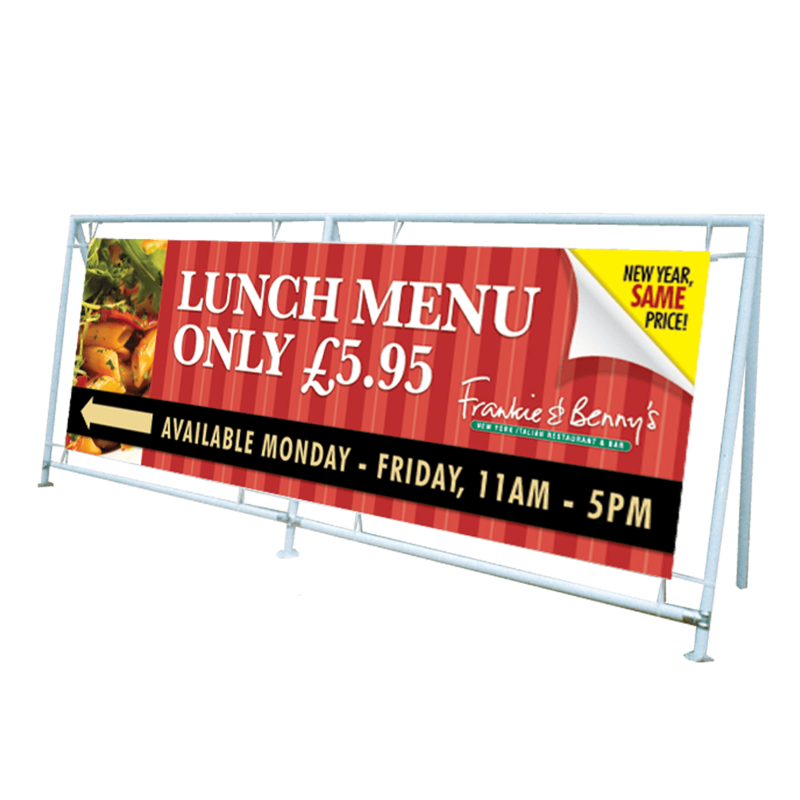 All of the banner FRAME prices below include the 440GSM VINYL PVC banner printed to your requirements. 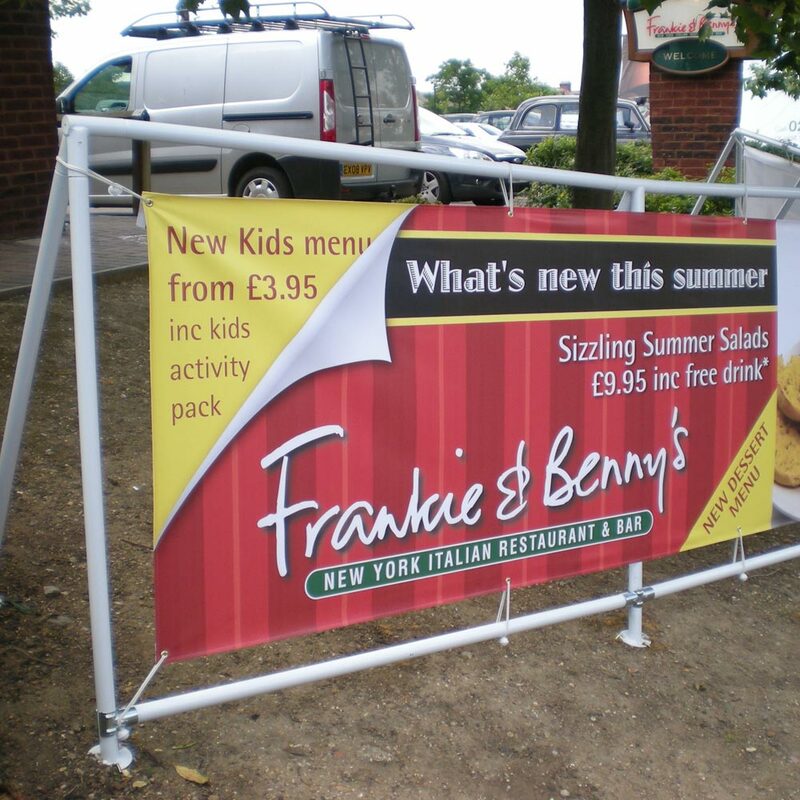 Double-sided banner frames include two 440gsm vinyl PVC banners. The sizes below indicate the size of the banner they accept, NOT the size of the frame itself.